A+ Of special interest this week is a letter to FCC Chairman Kevin Martin—on AAPC letterhead—signed by Bruce Deer, AAPC President (SkyTel President too), AND Vince Kelly, CEO of USA Mobility. It is very reassuring to see this level of cooperation in the paging industry. Good job gentlemen! This letter is very well written and I hope it attracts the attention of the FCC commissioners and staff as they nominate members to the new independent expert panel to advise on ways to improve disaster communications. I am in 100% agreement with this effort, as all regular readers of this newsletter already know from my frequent rantings. USA Mobility and the AAPC together represent the majority of the US paging industry. I certainly hope that USA Mobility will join the association. There are a couple of other significant carriers on the West Coast that I have been talking to recently, and I hope they decide to join the AAPC as well. These carriers are both owned by nice fellows who could make valuable contributions to the AAPC—and I am talking about expertise—not money. If we all get together in Phoenix next month at the AAPC Symposium, it could make for a very interesting meeting. As I mentioned last week, I am going to the Wireless Messaging conference next week in Helsinki, Finland. The Program Summary follows below, with the speakers and topics of discussion. I will be giving everyone there an update on the US industry, and then doing my best to learn many new things, in the sessions, to pass on to our readers. Several new trends in wireless communications have started over in Europe so I am really looking forward to this conference. Some of my friends in Latin America may be thinking, "What! 'un americano que no sabe de todo' an American who doesn't know everything?" YES! that's me—still learning. Next week's newsletter will be a little late. I am scheduled to return on Friday evening (Oct. 21) and hope to get at least a preliminary report done for you by Saturday or Sunday. I plan to take lots of photos so you can see what you missed! Advocating for you, the Paging industry! With the recent hurricanes and resulting breakdowns in emergency communication services, AAPC is actively pursuing ways to promote the reliability and benefits of utilizing paging systems. Recently, AAPC and USA Mobility sent the following joint letter to the Federal Communications Commission. The purpose of this letter was to respond to Chairman Martin’s statements that he intends to establish an independent expert panel to review the impact of Hurricane Katrina, and now Hurricane Rita, on the nation’s communication infrastructure. We wanted to make sure that he and the commissioners are aware of the important and critical role that paging and two-way messaging can play in times of crisis. In the future, AAPC will continue to pursue additional avenues in the coming weeks to get our message across to the decision makers in Washington and elsewhere as appropriate. The American Association of Paging Carriers (AAPC) and USA Mobility, Inc. commend you for your strong leadership of the Federal Communications Commission at a time when the communications capability of our nation in disastrous situations has been sorely tested. We look forward to working with the Commission and the independent expert panel you are establishing to review the impact of Hurricane Katrina, and now Hurricane Rita, on the nation's communication infrastructure, and to make recommendations on ways to improve disaster preparedness, network reliability, and communication among first responders such as police, fire fighters and emergency medical personnel. We are writing to urge that you appoint a representative from the paging industry to service on the panel you are establishing. Almost all aspects of communication continue to be problematic, from initial notification to tactical operations. Cellular telephones were of little value in the first few hours and cellular priority access service (CPAS) is not provided to emergency responders. Radio channels were initially over saturated and interoperability problems among jurisdictions and agencies persist. (AAR at p. 9). 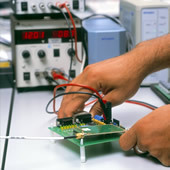 Dr. Peter Kapsales, senior consulting engineer for CACI Technologies, also has acknowledged the benefits of two-way paging for crisis communications in a March 2004 article entitled"Wireless Messaging for Homeland Security" (http://braddye.com/homeland_security.html). He Concluded that two-way paging "is more reliable and more effective than the current voice networks used by emergency workers and public employees who respond to critical situations" and "should be considered a primary or backup system to improve real-time communication among emergency personnel during critical periods when voice communication is not practical or fails." 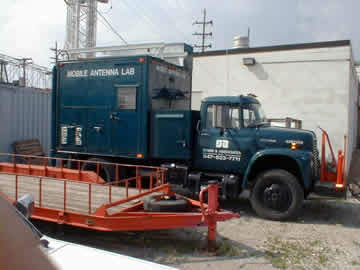 Most recently, a communications specialist deployed by FEMA in Urban Search and Rescue in the aftermath of Hurricane Katrina, wrote to the Wireless Messaging Newsletter when "the cell and data service down and systems being flooded," that "ReFLEX [two-way paging] is working fine and communications are flowing through the units! . . . Again the critical use of the ReFLEX in . . . all the disaster situations I have been to (9/11 NYC, Ivan, Isabel and now Katrina!)" (http://www.pagingcarriers.org). One of the important reasons for the continued reliability of paging service during disasters is its extensive use of geostationary satellite control and transmission links, not just terrestrial facilities, as part of its network infrastructure. AAPC and USA Mobility stand ready to work with you, the Commission and the independent panel to help lay the foundation for more effective communications during future crises. To this end, and in light of the critical and unique contributions of paging service during such times, we strongly urge your to appoint a representative from the paging industry to serve as a member of the independent panel you are in the process of establishing. Please do not hesitate to contact either of the undersigned to discuss specific representatives qualified and ready to serve in this important capacity. AAPC thanks its symposium sponsors! Aquis Communications, Inc. NotePage Inc. Please see our website for even more products designed specifically for Personal Messaging carriers. For example, the Omega Messaging Gateway and Email Throttling Gateway (anti-spam). Prism Paging new Trade Name for Prism Systems International, Inc.
Roswell, GA—October 10, 2005—Prism Systems International, Inc. designer and manufacturer of the Prism Message Gateway (PMG) line of products, has registered a new Trade Name and is now doing business as Prism Paging. According to Jim Nelson, Chairman, President and CEO of the company, “this change let’s us more closely associate the company name with our Prism paging product line and the markets where they apply”. “Paging is a reliable technology” said Nelson “and has been used for over 50 years to immediately alert and send messages to emergency medical personnel as well as those in public safety roles. Paging is often heralded as the most reliable technology during times of national emergency or natural disasters when other types of communications are crippled or completely disabled. 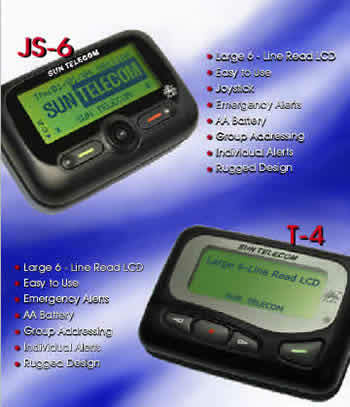 Prism Paging is proud to be identified with this vital service”. In reference to the company’s future plans Nelson further added “the Prism Message Gateway is a modular design which allows many different configurations as well as support of 3rd party software not strictly related to paging. We are now expanding the product line into other markets where notification and message relay use other technologies such as text messaging to cellular phones and e-mail over Wi-Fi networks. These new products will be named more closely after the market and services they address”. 14:30 Second Session: America Calling. 18:30 Evening Social Activities: Tour, Cocktails, Group Dinner. Sponsored by Tecnomen OY. 09:00 Third Session: Technology Update by Infrastructure Manufactures. 10:00 Fourth Session: New Applications and Revenue Opportunities. 10:45 Fifth Session: Short Individual Presentations by Delegates. 14:00 Sixth Session: Industry Round Table. OTTAWA, Oct. 7—A court decision Friday renewed the possibility that service to BlackBerry wireless e-mail devices might be cut off for most users in the United States. The United States Court of Appeals for the Federal Circuit in Washington rejected a request by Research in Motion, the Canadian company that makes the BlackBerry, to rehear its appeal of a patent infringement case brought by NTP Inc., the patent holder. A three-judge panel of the court ruled in August that Research in Motion had violated seven of NTP's patents. As part of that litigation, NTP, whose only assets are wireless e-mail related patents, had been granted an injunction banning the sale of BlackBerry devices in the United States and forcing Research in Motion to stop providing e-mail services to all American customers except government account holders. While the court declined Research in Motion's request for a complete rehearing by all 12 of its judges, it did order the panel of three judges to review some aspects of NTP's patent claims. Kevin Anderson, a lawyer for NTP, said the company would now ask the court to apply the injunction to the patent claims that are no longer under review. Those patents, he added, are broad enough to prevent Research in Motion from continuing service in the United States, which accounts for about 70 percent of its revenue. "The case is pretty much over," Mr. Anderson said. Friday afternoon, however, Research in Motion said it would request that the court hold off on any action while it asks the Supreme Court for a review, although it acknowledged that such reviews are "uncommon" in patent cases. "RIM continues to believe this case raises significant national and international issues warranting further appellate review," the company said. Shares of Research in Motion hit a 52-week low of $64.55, down $2.42. With the backing of the Canadian government, Research in Motion has argued in court that NTP's claims do not apply to BlackBerry software because it is held only on computers near its headquarters in Waterloo, Ontario. NTP does not hold any wireless e-mail patents in Canada. It is based in Annandale, Va.
Research In Motion has suffered another setback in a legal dispute that threatens to torpedo U.S. sales of its popular BlackBerry e-mail paging service. The U.S. Court of Appeals on Oct. 7 rejected its request for another hearing on an earlier patent infringement ruling against RIM (RIMM). It's the latest wrinkle in a long-standing battle between RIM and NTP, a company set up to manage the patent portfolio of Thomas Campagna, an inventor who died in 2004. At issue is ownership of the patents on the groundbreaking technology at the base of RIM's BlackBerry pager. The decision may bring Arlington (Va.)-based NTP a step closer to winning enforcement of an injunction that would force a shutdown of the BlackBerry service. "We intend to be back in court asking to enforce our injunction as soon as possible," says NTP lawyer James Wallace. TO THE HIGH COURT? Millions of U.S. customers subscribe to the BlackBerry service supplied via wireless-phone providers including Cingular Wireless, owned by SBC Communications (SBC) and BellSouth (BLS ); Verizon Wireless, owned by Verizon (VZ) and Vodafone Group (VOD); and Sprint Nextel (S). NTP says the injunction, if enforced, won't affect BlackBerry users who work for federal, state, or local government agencies. RIM says 77% of its 3.65 million BlackBerry users are in North America, with the lion's share in the U.S.
RIM intends to take its case to the U.S. Supreme Court. In a written statement it said it would ask the high court to review the Appeals Court's decision not to hear its case, saying the company "continues to believe this case raises significant national and international issues warranting further appellate review." However RIM concedes that the threat of the injunction is real. "While RIM maintains that an injunction is inappropriate given the facts of the case and substantial doubts raised subsequent to trial as to the validity of the patents in question, it ultimately will be up to the Courts to decide these matters, and there can never be an assurance of a favorable outcome in any litigation." INJUNCTIONS AND STAYS. The district court is unlikely to enforce any injunction until the Supreme Court decides whether to hear the case, notes Dennis Crouch, a patent attorney with Chicago law firm McDonnell Boehnen Hulbert & Berghoff. Still, the high court typically agrees to hear only one patent-related case per year. News of the rejection sent RIM stock lower, to close down 3.4% at $64.55, while stock in Palm (PALM), which makes the Treo, a wireless phone that's a rival to the BlackBerry, was up 3%, or 82 cents, to $28.12. The two sides have been locked in battle for years. In 2002 a jury determined that RIM had infringed on NTP's patents, and the court granted the injunction ordering the shutdown of the BlackBerry service and banning the device's sale in the U.S. That injunction was stayed pending an appeal. But in March of this year the two sides announced they had reached an agreement in principle to settle the case. "NO MEETING OF MINDS." 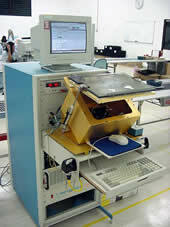 RIM had agreed to pay NTP $450 million for unrestricted use of the patents. But in June the settlement fell apart for reasons that neither side has explained publicly. Given the most recent turn of events and NTP's stated intention to pursue the injunction, RIM may have little choice but to head back to the bargaining table and prepare to write a check for considerably more than the $450 million previously agreed to. In a written statement, NTP said RIM owes it $210 million in damages as of August, 2005, based on a royalty rate of 8.55% for use of the disputed patents. RIM CEO Jim Balsillie has said previously that despite rulings from the patent office casting doubt on the validity of NTP's patents (see BW Online, 9/20/05, "A Red Letter Day For RIM", and 4/8/05, "Did RIM Pay Too Soon? "), the company still intends to pay up on the settlement. Wallace has said after the initial agreement to settle, there was "no meeting of the minds" over as yet-unspecified details of the settlement agreement. As the legal wrangling wears on, and concerns over enforcement drag on its shares, RIM may well be hoping those minds have a meeting soon. BASINGSTOKE, UK - 13 October 2005 - Motorola (NYSE:MOT) today announced the appointment of Jose R. Figueroa as Corporate Vice President and Regional Manager of Motorola Networks, EMEA. Figueroa takes on the new role in addition to continuing as Corporate Vice President and Regional Manager of Latin America and Caribbean (LAC) for Motorola Networks. Figueroa will be focused on driving sales and business strategies effectively across both regions for the Networks business. He will be based in the UK at Motorola’s EMEA regional headquarters in Basingstoke. Figueroa has been Corporate Vice President, Motorola Inc. and Regional Manager of Motorola Networks for Latin America and Caribbean since February 2000. In this role he was responsible for motivating the organization to identify industry opportunities and embrace market challenges. He was instrumental in securing the largest commercial contract of Motorola’s SoftSwitch solution globally, with VIVO in Brazil. In addition, he presided over numerous new regional contracts across Latin America including Push-To-Talk as well as CDMA 1X wins. Prior to this, Figueroa held several leadership roles within Motorola including General Manager, East Region United States. Jose has also held executive positions in Motorola's Paging Sector, Personal Communications Group and Cellular Subscriber Sector. Motorola Networks has seven businesses including its Cellular Networks, iDEN® business, Wireline Networks, Wireless Broadband Networks, Network Services and Application Management, and also the newly-aligned Core Networks business (as of October 2005) headed by Margaret Rice-Jones. Similar to its public notice in the aftermath of Hurricane Katrina, the FCC on October 7, 2005, issued a public notice stating that "licensees of wireless services serving consumers affected by Hurricane Rita" must "continue providing service to displaced people who cannot pay their bills in the wake of the hurricane." The FCC further is requiring wireless carriers serving consumers affected by Hurricane Rita to submit a report to the FCC "verifying their compliance with the standard industry practice of maintaining service to people displace by the hurricane despite failure to pay bills." The FCC public notice states that the report should be submitted no later than Wednesday, October 12, 2005. If any member of AAPC believes it is required by the public notice to submit a report, AAPC's recommendation is to file it as soon as practicable, despite the fact that the stated deadline for the report has passed. The report should be in letter format addressed to the Chiefs of the Wireless Telecommunications Bureau and the Consumer & Governmental Affairs Bureau. The Acting Chief of the Wireless Telecommunications Bureau is Catherine W. Seidel; and the Chief of the Consumer & Governmental Affairs Bureau is Monica Desai. Reports should describe the grace period or other relief provided by the affected consumers. Electronic copies should be sent to Rita_Wireless_Report@fcc.gov and to the Commission's copy contractor at fcc@bcpiweb.com. A copy of the FCC's public notice is attached. All, just a reminder that the next face-to-face meeting will be on Friday, November 4th from 8 AM to 12 noon at the Scottsdale Resort and Conference Center. Please see the attached document if you would like to also attend the wonderful AAPC meeting. Our meeting is being sponsored by Verizon so let's all give them some thanks. We are in the last stages of planning and really need to know how many of you will attend and who will be staying form lunch on Friday (there is quite a bit of cost involved for our sponsors and we get charged for the headcount when we turn the numbers in so please let me know as soon as you can). Please respond to this e-mail if you will be attending the meeting and if you plan on staying for lunch. Would you know of anyone that would a need for 75 Motorola PF 1500 (ReFLEX pager)? These are brand new, in the original packaging. They are ReFLEX 50 (SkyTel). Let's do 25 each for individual purchases, or 20 each if they by the lot. Credit card or PO only. Please call or email us for more information on wireless products and services. Wireless Solutions with a Difference! Brad - a big customer of ours wants 2 or 3 pagers to work on an Ericsson Trunked Mobile system in the 800 MHz range. 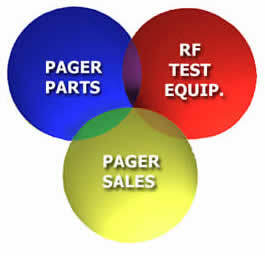 Do you know of anyone that sells pagers that might work? Los operadores de celulares invertirán US$ 3.600 millones hasta 2009. De acuerdo a estimaciones de la Comisión Federal de Telecomunicaciones (Cofetel), las empresas Telcel (América Móvil), Movistar, Nextel, Iusacell y Unefon desembolsarán más de US$ 3.600 millones durante los próximos tres años. El ente regulador pronosticó que aunque el ritmo de expansión del mercado se desacelerará, aún queda un importante margen de crecimiento. Entre otros aspectos, se considera que todavía un 22,5% de la población de altos recursos no cuenta con un teléfono móvil. En la actualidad, el mercado mexicano de móviles supera los 42,5 millones de usuarios. 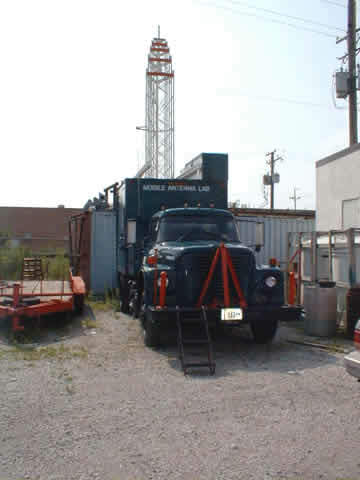 This truck and generator would make a great additions to any wireless company wanting to increase their emergency backup ability for storms and other catastrophic events. Kohler-325 KVA/260KW generator-info follows: 1 ea. 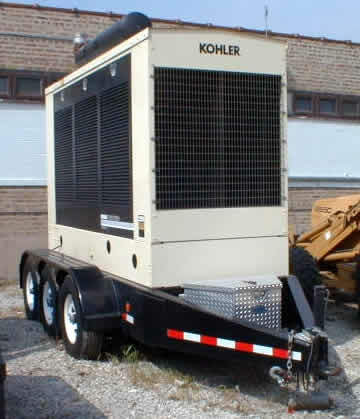 Kohler Model 250 REOZD, Serial number 0621698, 260KW, 325 KVA at .8 power factor 120/208 VAC-3 phase 60 hertz 1,800 RDM on trailer, 3 axle with 400 gal fuel tank, powered by a John Deere engine, model number 6063TIC35. Note: Generator is new, only has 24 hours use. With generator is new never un-packed 1 ea. 800 AMP automatic transfer switch KCT-AHNA 0800S in one NEMA-3R tap box. Current cost for the above $64,827.18, we are seeking FOB our shop $52,240.00. Also have 8 Glenayre GTL 8500, 931.1875 MHz. 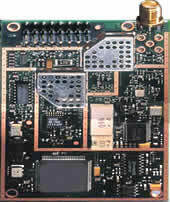 Radios have GLS 2164 receivers, exciter, PP controls and Glenayre power amplifiers. 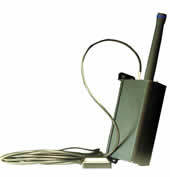 We have 6 DB809 antennas all in the 929.240 MHz range. Should you have any questions or comments, please feel free to give me a call. Fleet tracking, messaging, job processing and field service management. Automatic vehicle location (AVL), GPS. 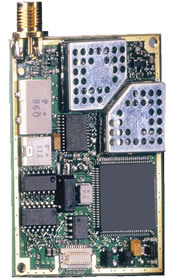 ReFLEX, CDMA, GPRS, Conventional and trunked radio interfaces. These are new closeout surplus and still in original Motorola packaging with very favorable below cost pricing. Several hundred are available. They have RS232 serial outputs in addition to the trigger points and the optional external antenna connectors. Please let me know if there is any interest in this opportunity. Estos son módulos de sobra, nuevos en su embalaje original de Motorola. Los precios son muy favorables, menos del costo original. Hay centenares de ellos disponibles. Incluyen salidas seriales RS232 en adición a los puntos de abre y cierra. También tienen conectores opcionales para antenas externos. Avísame por favor si hay alguna interés en esta oportunidad. Details about the advertising plans can be read here. WASHINGTON-A new study says electromagnetic radiation produced by cell phones do not stress human cells in a way that could lead to heath risks. "We performed highly sensitive, extremely well-controlled tests on living cells irradiated with energy like that from mobile phones, but at levels five to 10 times higher than those set for the devices by regulatory agencies," said Andrei Laszlo, Ph.D., associate professor of radiation oncology and a researcher at the Siteman Cancer Center at Barnes-Jewish Hospital and Washington University School of Medicine. "We see no indication that factors involved in the stress response increase their activity as a result of such exposures." The research, reported in the journal Radiation Research, was supported by a contract with Motorola Inc., which is named in several pending lawsuits related to the possible health effects of cell phones. The stress response is a protection mechanism for human cells set into motion by various adverse stimuli, including heat shock, heavy metals and inflammation. University researchers said high levels of the stress response in cells are thought to result in changes associated with malignancy. Previous studies have indicated mobile phones do stress human cells, but Washington University scientists said those findings "may be due to less-than-ideal experimental conditions," which create unwanted heating caused by microwave exposure. "We've done extensive studies on the effect of cell-phone radiation in our research group in the past as well," Laszlo said. "Dr. Joseph Roti Roti and his colleagues have examined the potential for DNA damage and cellular transformation, and the effect of microwave radiation on animals has been studied also. Now we've conducted this study of the molecular mechanisms of the stress response. In every case we've looked at, our group saw no biological effects of cell-phone radiation that could cause cancer." On a related front, the Institute of Electrical and Electronics Engineers has approved a new radio-frequency radiation standard that is less stringent for mobile phones than current guidelines, yet largely in line with an international standard used by more than 40 countries. The IEEE standard now goes to the American National Standards Institute for publication and afterward to the Federal Communication Commission for consideration. The safety of mobile phones is the subject of continued litigation, and many suits having been remanded to state courts in recent years. Google Inc. and Comcast Corp. are talking about investing in Time Warner Inc.'s America Online division, a move that could shift the geopolitics in the Internet world by creating new alliances between online search and entertainment giants. Google, which already powers the Dulles-based AOL's Internet search tool in the United States and Europe, wants to strengthen and expand that relationship—as well as derail AOL's talks about a similar deal with Microsoft Corp. Through these competing negotiations, AOL has become a powerful player in the global battle between Internet titans Google and Microsoft, which are vying for the attention of millions of Internet users. AOL could augment both companies' empires by adding users of AOL.com, AOL dial-up Internet service and AOL's affiliated Web sites, including Mapquest and Moviefone, according to people familiar with the talks who spoke on condition of anonymity due to the confidential nature of the continuing negotiations. A Microsoft-AOL alliance poses a threat to Google because AOL uses Google's search engine and is its largest source of revenue. On the other hand, an alliance between Google, AOL and Comcast would make a formidable enemy for Microsoft. Officials from all four companies declined to comment about the nature of any negotiations. In recent weeks, the talks have resulted in a series of punches and counterpunches. First, Microsoft proposed replacing Google with its MSN Search on AOL's Web sites. At the same time, Microsoft offered to combine its own MSN Internet service and pour cash into AOL. Those talks are continuing, though insiders said such a deal appears less likely. By selling a stake in AOL, Time Warner would get a major infusion of cash that would enable it to increase the size of a stock buyback or issue a one-time dividend to shareholders. Corporate financier Carl C. Icahn has been pressuring the company to do a larger stock buyback and take other steps to boost its lagging stock price. The proposed MSN-AOL alliance prompted Google to enter the fray and propose an alternate deal with AOL. Meanwhile, Comcast's primary interest is in marketing its own high-speed Internet service to AOL's large but shrinking base of dial-up Internet users. Microsoft yesterday made a retaliatory move. Microsoft and Yahoo joined forces to allow millions of their instant message users to chat with each other online, a combination that threatens AOL's dominance in that space. While cell phone users can call each other even if they use different wireless carriers, the same has not been true for Internet messaging. Until now, computer users could only call, send or receive messages from users in the same instant message, or IM, network. The agreement, which takes effect during the second quarter of next year, gives Yahoo and MSN a combined U.S. user base of 49.2 million, which puts them behind AOL, with 51.5 million IM users in the United States. For years, analysts predicted that IM providers would allow communication between their networks, but companies have kept those users walled from each other as a way of channeling more traffic to other services on their sites. Such rivalries are finally giving way out of necessity, some analysts said, as competition forces the companies to band together to maintain their base. "Microsoft and Yahoo! look forward to bridging the divide between our global communities," Steven A. Ballmer, chief executive of Microsoft, said in a news release. But analysts saw the combination of MSN and Yahoo's messenger services as a move to block Google, which last month launched its Google Talk service and still has very few IM users. "The elephant in the room nobody is talking about is Google," said Charles S. Golvin, an analyst with Forrester Research Inc. "That is the common threat. Certainly, Google Talk as an IM service is no threat to MSN and Yahoo, but clearly in other ways, Google threatens them and helps to bring them together." Because new users tend to sign up with the same service as their friends, family and co-workers, Google could have a tougher time catching up to Yahoo and MSN, said Allen Weiner, an analyst with Gartner Inc. "By these two companies working together, I believe it's an attempt to crowd Google out of the market." For consumers, one of the consequences of such alliances could be an overall transformation of online communications and entertainment. Over time, IM could replace other forms of communication, including phone calls and e-mail. Yahoo, Google, MSN, AOL, and Skype Technologies SA all offer a form of computer-to-computer calling over their IM service. They could eventually become major networks for sharing music, video and other digital files. Reward offered to help Brad King secure a job! Put Brad in contact the hiring manager of his new employer and when he begins working you get the reward. You will have your choice of a check for $1,000.00 or two roundtrip tickets anywhere in the lower 48 that Delta flies. For this noble act, in lieu of the reward, Brad will donate $1,000.00, in your name to the charity of your choice. (Prizes paid 30 days after he starts working because he needs the money) If it’s the Braille institute he will contribute another $500.00. See the attached resume then contact Brad for the summary of job parameters and the details here. Send Brad King an e-mail here. From Google I found that you are a Wireless Data Consultant, and I have almost 10 years Glenayre Paging system and RF implementation, configuration and troubleshooting experience. Recently I was laid off from Bell Mobility in Canada, right now I'm looking for senior Paging specialist position in USA or Canada, if you have any information, please let me know ASAP. Here I attached my Resume for your reference. Wi-Fi firms play nice to bring faster, wider-reaching Wi-Fi technology to market sooner. A group of 27 wireless companies has decided to end a potential standoff over the next generation of Wi-Fi by forming a coalition to push one standard. The Enhanced Wireless Consortium (EWC) will work on a technology the companies hope will fill a faster, wider-ranging Wi-Fi standard than what is currently on the market. Members of the group include big-name companies such as Apple, Intel, Broadcom, Cisco, and Sony. The 802.11n standard is expected to be up to 10 times as fast as the current Wi-Fi standards 802.11a, b, and g, according to the companies that announced the group on Monday. Wireless companies have been fighting for months about how the 802.11n standard will look, and the industry had broken into two camps, the TGn Sync and WWiSE groups. A third group also recently formed, creating even more division in the nascent movement. “We hear that the four major companies—Broadcom, Intel, Atheros, and Marvell, holding the lion’s share of the Wi-Fi chipset market—have formed a third camp with the aim of writing a new proposal,” noted Philip Solis of the research firm ABI. Mr. Solis had predicted the competing camps would likely delay the standard until mid-2007. But now that many of the Wi-Fi companies have decided to put down arms and push a single standard, the standard could be approved by the standards body, the IEEE (Institute of Electrical and Electronics Engineers), as soon as mid-2006. That means before the standardization, companies will likely start creating early pre-standard products in 2006. The new group said it would work on a proposal that merges elements of both sides of the Wi-Fi divide, accelerating the time that the standard can gain approval from the IEEE and pushing the technology’s time to market. “The EWC specification combines the best features of the TGn Sync and WWiSE proposals to accelerate an agreement within the IEEE,” said Atheros CEO Craig Barratt. “By joining with numerous other industry players, we hope to speed ratification of the standard as well as jointly develop a common guideline to deliver interoperable solutions in the interim,” he added. The group’s proposed standard will support speeds of 100 megabits per second and will be compatible with the current Wi-Fi standards. The convergence of telephony and the Internet is a great thing for consumers. It makes voice-over-Internet-Protocol (VoIP) services, such as Vonage, Packet8, and Skype, possible. In particular, Skype Technologies SA, in London, looms as a dagger poised to cut your phone costs—and your local phone company's profits. With its SkypeOut service, a call anywhere in the world costs about 3 US cents per minute. And when the recipient is also a Skype user, the call is absolutely free. In some countries, such as Saudi Arabia, regulations protect a phone company's revenues, prohibiting customers from saving money by making phone calls using any service other than the national carrier, Saudi Telecom, based in Riyadh. Skype users there have gleefully flouted those regulations, paying cheap local tariffs to access the Internet and use it for their calls, instead of directly using Saudi Telecom's expensive long-distance and international calling services. Although these Skype calls travel along Saudi Telecom's network, the national carrier had been helpless to prevent the practice—VoIP phone calls were just ordinary data packets, indistinguishable from Web and e-mail traffic. Until now. A seven-year-old Mountain View, Calif., company, Narus Inc., has devised a way for telephone companies to detect data packets belonging to VoIP applications and block the calls. For example, now when someone in Riyadh clicks on Skype's "call" button, Narus's software, installed on the carrier's network, swoops into action. It analyzes the packets flowing across the network, notices what protocols they adhere to, and flags the call as VoIP. In most cases, it can even identify the specific software being used, such as Skype's. Narus's software can "secure, analyze, monitor, and mediate any traffic in an IP network," says Antonio Nucci, the company's chief technology officer. By "mediate" he means block, or otherwise interfere with, data packets as they travel through the network in real time. Another of Narus's Skype-blocking customers is Giza Systems, a consulting company that specializes in information technologies. Giza, which is based in Cairo, Egypt, installed Narus's software on the network of a Middle Eastern carrier in the spring. Nucci wouldn't say which one, but presumably it is Telecom Egypt, the national phone company. Narus already has a close relationship with the carrier, having written the software for its billing system. 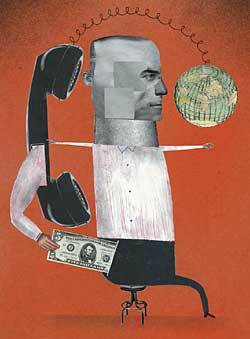 The desire to block or charge for VoIP phone calls extends far beyond the Middle East. According to Jay Thomas, Narus's vice president of product marketing, it can be found in South America, Asia, and Europe. International communications giant Vodafone recently announced a plan to block VoIP calls in Germany, Thomas says. A French wireless carrier, SFR, has announced a similar plan for France. Nor is it just Skype that's at risk. Most international telephone calling cards also use VoIP technology. In the United States and many other countries, a phone company's common carrier status prevents it from blocking potentially competitive services. "But there's nothing that keeps a carrier in the United States from introducing jitter, so the quality of the conversation isn't good," Thomas says. "So the user will either pay for the carrier's voice-over-Internet application, which brings revenue to the carrier, or pay the carrier for a premium service that allows Skype use to continue. You can deteriorate the service, introduce latency [audible delays in hearing the other end of the line], and also offer a premium to improve it." U.S. broadband-cable companies are considered information services, which by law gives them the right to block VoIP calls. Comcast Corp., in Philadelphia, the country's largest cable company, is already a Narus customer; Thomas declined to say whether Comcast uses the VoIP-blocking capabilities. In August, a Federal Communications Commission ruling gave phone companies the same latitude for DSL. Narus's software does far more than just frustrate Skype users. It can also diagnose, and react to, denial-of-service attacks and dangerous viruses and worms as they wiggle through a network. It makes possible digital wiretaps, a capability that carriers are required by law to have. However, these positive applications for Narus's software may not be enough to make Internet users warm to its use. "Protecting its network is a legitimate thing for a carrier to do," says Alex Curtis, government affairs manager for Public Knowledge, a consumer-interest advocacy group in Washington, D.C. "But it's another thing for a Comcast to charge more if I use my own TiVo instead of the personal video recorder they provide, or for Time Warner, which owns CNN, to charge a premium if I want to watch Fox News on my computer." Public Knowledge advocates a set of principles of "network neutrality." One is open attachment—the right to connect that TiVo, or any Internet-enabled hardware, to a network. Another is a right of openness to all application developers, such as Skype, and information providers. "Consumers have come to expect a lot from the Internet—to be able to get to any site, for example, or any service, like VoIP," Curtis says. "Without Net neutrality, that goes out the window." Such concerns used to be largely academic, because carriers had no way of restricting the activities of their customers anyway. Software such as Narus's, with its ability to do what the company euphemistically calls "content-based billing," puts the issue front and center. I hope you have a great week. Please let me know if you come across any news suitable for the newsletter. I will be without access to the Internet next week, Monday through Friday, so any help you can give with the news would be appreciated.